Completely renovated 3 bedroom townhouse very beautiful and tastefully finished with large combination living room and kitchen with granite counters, hardwood floors and S.S appliances. New windows, furnace, wiring , fixtures , all cabinetry for kitchen and baths, new baths , laundry room and all flooring. Sole and exclusive outdoor area . Rear deck and parking . 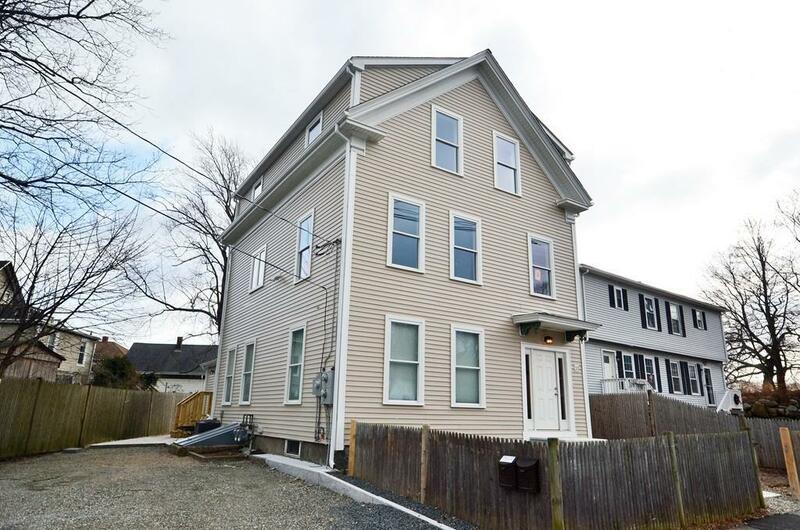 Great location with close proximity to shopping and commuter rail. Condo fee should be in the $200 per month range.Taxes have not been determined yet.New conversion.